Going on a picnic? Need a cuddly throw? Maybe a table or wall quilt? 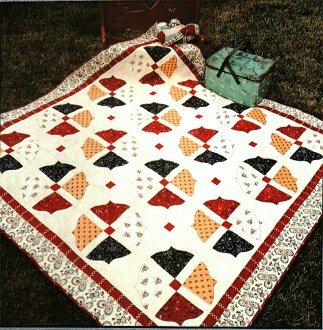 A little bit of machine applique pieced into blocks make this a great project for the confident beginner.